Here's the official poster of 'Kill Your Darlings', starring Daniel Radcliffe, Dane DeHaan and Michael C. Hall. 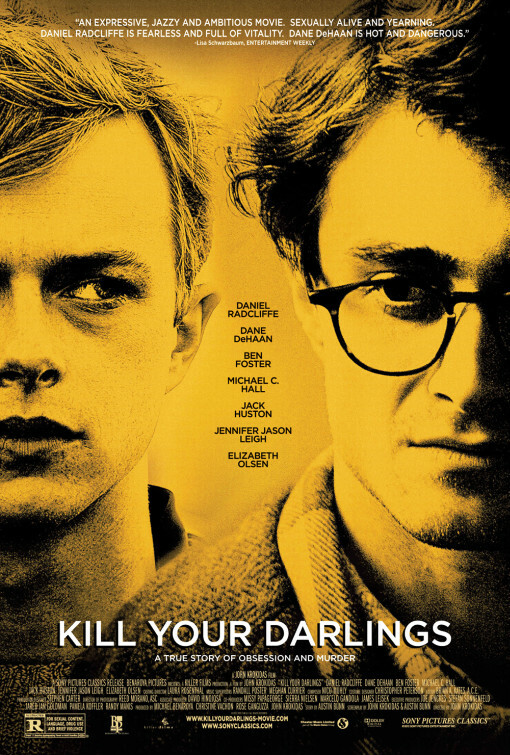 "Kill Your Darlings" opens in theaters on October 18. In case you missed it, you can watch a teaser from the film, here. Directed by John Krokidas, Kill Your Darlings centers on the young stars of the Beat generation — Allen Ginsberg (Daniel Radcliffe), Jack Kerouac (Jack Huston), William S. Burroughs (Ben Foster), and Lucien Carr (Dane DeHaan), in the midst of a crisis.